I’ve always said yes. Tell me that I’d be really good, helpful and important at whatever it is you think I should do and I’d say yes, take on your agenda and drive myself crazy. Not anymore. I like to say no. No, no, no. Ah it feels good. My connection with no started recently when a friend asked me to be part of a mastermind group. This sounded fun. Getting together with creative and passionate people to talk about business, life, money and improvement. This is my thing. I said yes, then I said no. I wanted to do it, but then realized I couldn’t. I didn’t have the time or energy and I’m not quite sure it was the perfect group for me. It would take away time from my family and other projects I thought were more important. When I told my friend that I couldn’t do it, I confessed the truth – she couldn’t count on me even if I said yes. I might show up for the first meeting, but then the likelihood of me making an excuse to miss the second, third, forth meeting was super high. I said no and she said thank you. It was her response that set me free. She thanked me and praised me for standing up to my time, commitments and my agenda. And, then it dawned on me. I’d been saying yes to other people’s agendas for a long time and it needed to stop. I’ve been taking on other people’s projects, errands, sad stories, ideas for me and time. Instead of doing that, I want to be true to myself, my time, my energy and my responsibilities. This is at the core of being an Intentional Dad. If you say no to one more thing, you free up time to say yes to your kids, your spouse, your passions, your health, your piece of mind, your work, your hobbies. See what you say yes to? Yourself. Is it time to go back and say no to people and projects to which you previously said yes? I’m doing this now. Based on what you know now, would the things you do be on your agenda? If not, it’s time to say no. You may also need to say no toprojects that you created for yourself where the only deadline is one you self imposed. Say no now. Learn to procrastinate the right things, as Paul Graham says in his post about good and bad procrastination. 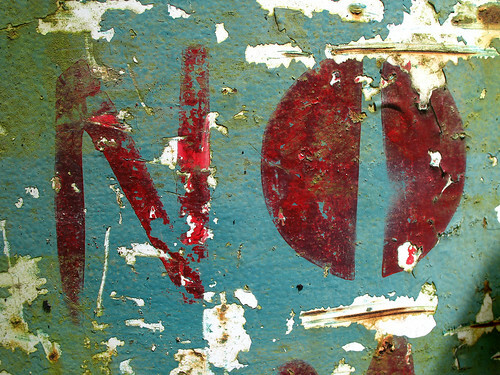 What should you say no to?